The Olympus Tough TG-2 iHS comes with high-speed 12MP backlit CMOS image sensor combined with a amazing fast, DSLR quality TruePic VI image processor. Olympus Tough TG-2 iHS features includes, high-speed and bright f2.0 lens with converter-lens system compatibility, iHS technology to shoot brilliant images and amazing 1080p Full HD video in the most extreme conditions. The extreme conditions includes waterproof up to 50 feet depths, shockproof up to 6.6 feet, freeze-proof to 14°F, crushproof to a weight of 220 pounds and dustproof. Color Options includes black and red. It comes with a 3-inch high-resolution OLED display with 610K dots resolution. It has a built-in manometer which records elevation and water depth and has a warning indicator at a depth of 50 feet. 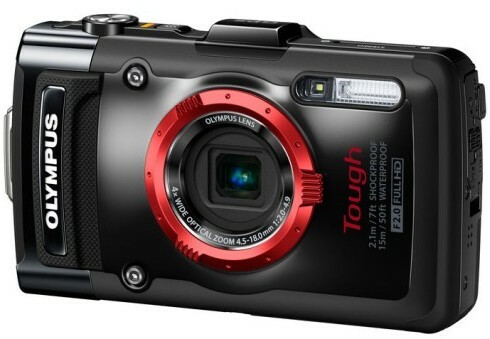 Olympus Tough TG-2 iHS will be available in March 2013 and with a price tag of $379.99 USD. Tags:Olympus Tough TG-2 iHS, Olympus Tough TG-2 iHS features, Olympus Tough TG-2 iHS specifications, Olympus Tough TG-2 iHS review, Olympus Tough TG-2 iHS details, Olympus Tough TG-2 iHS availability, Olympus Tough TG-2 iHS specs, Olympus Tough TG-2 iHS images, Olympus Tough TG-2 iHS pics, Olympus Tough TG-2 iHS pictures, Olympus Tough TG-2 iHS price.